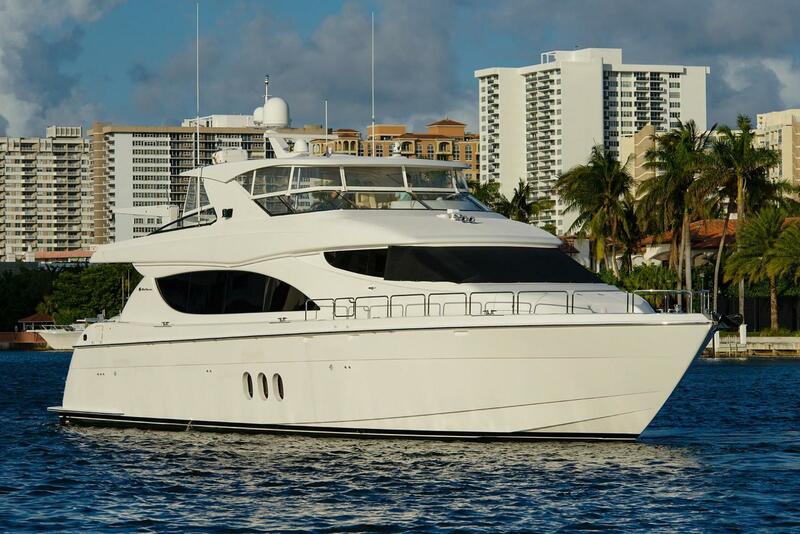 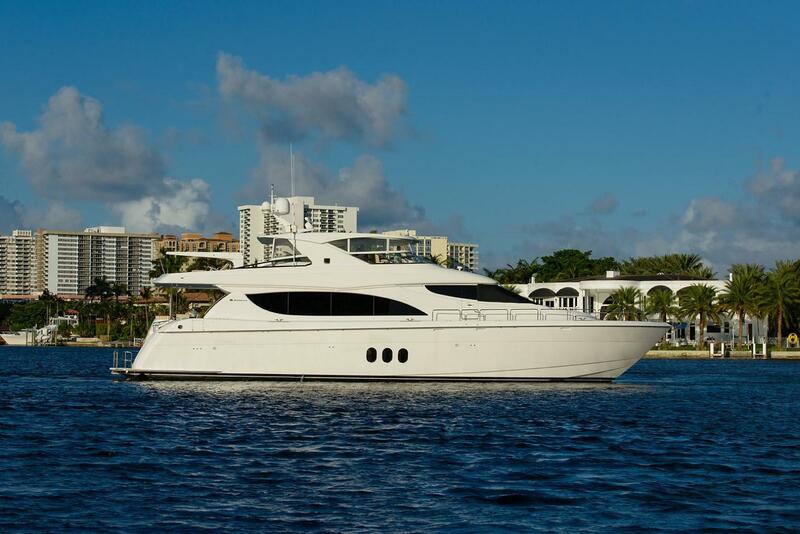 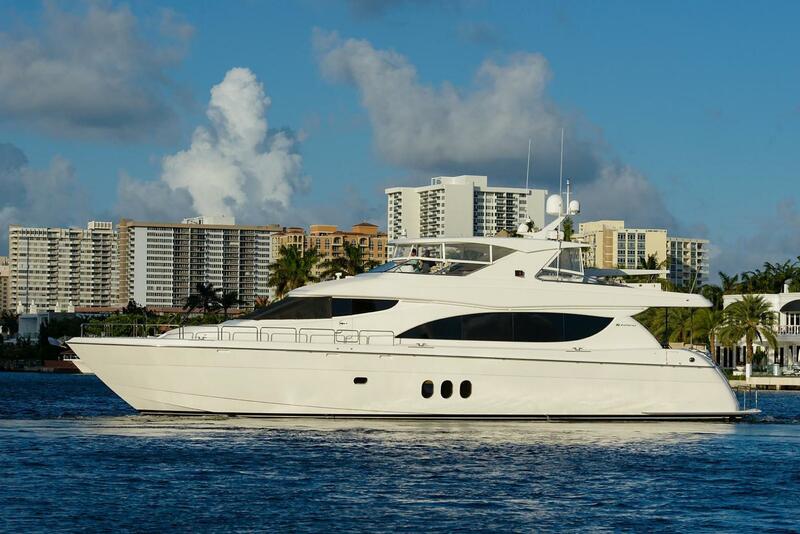 A TRUE Turn Key Yacht, Just Reduced!! 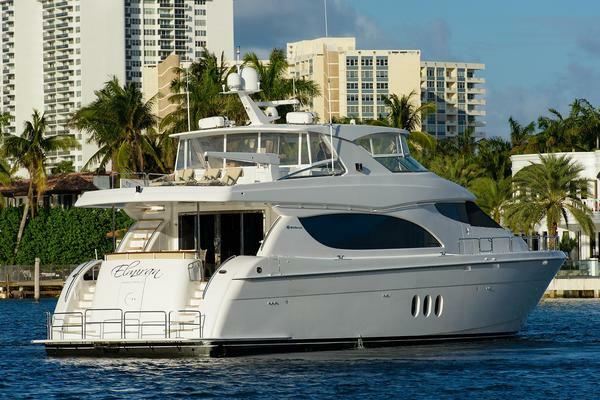 Family wants it sold! Bring All offers for consideration. 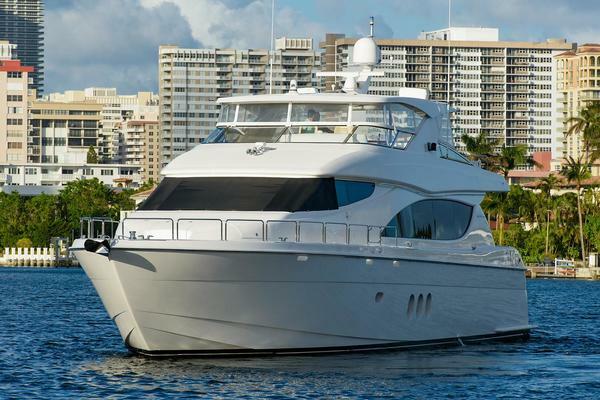 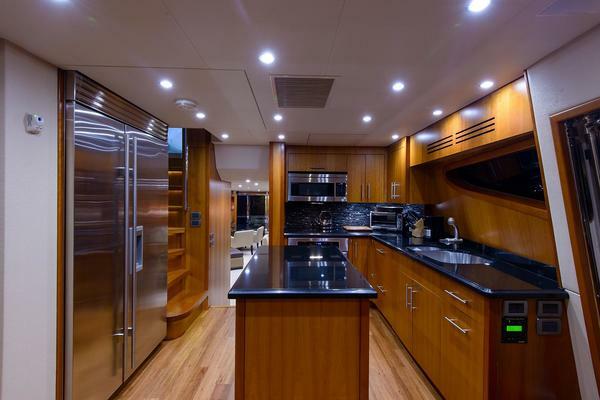 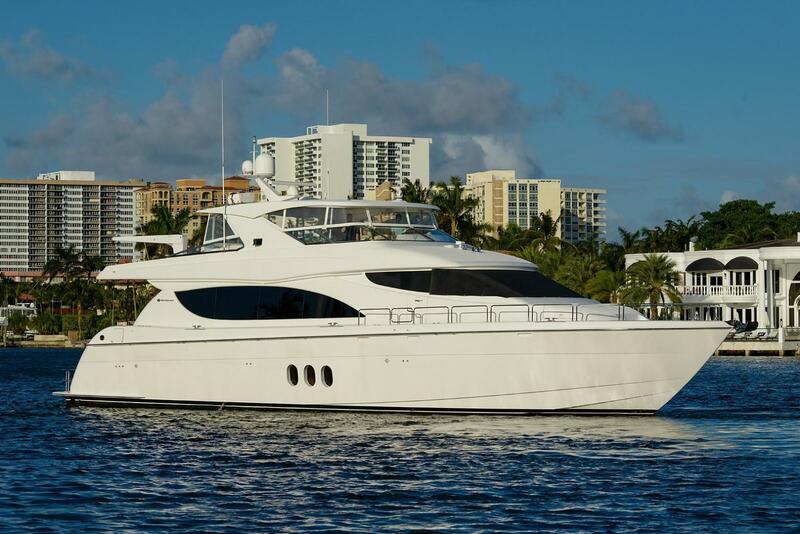 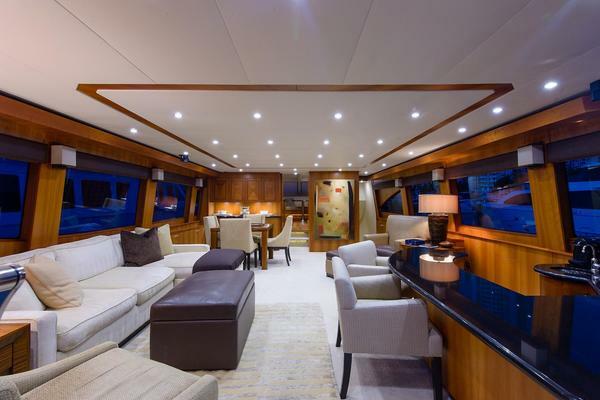 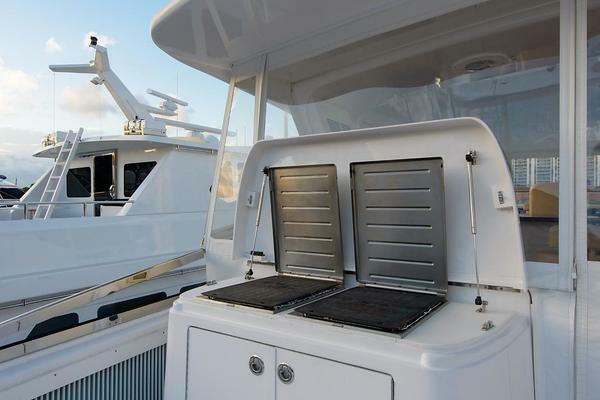 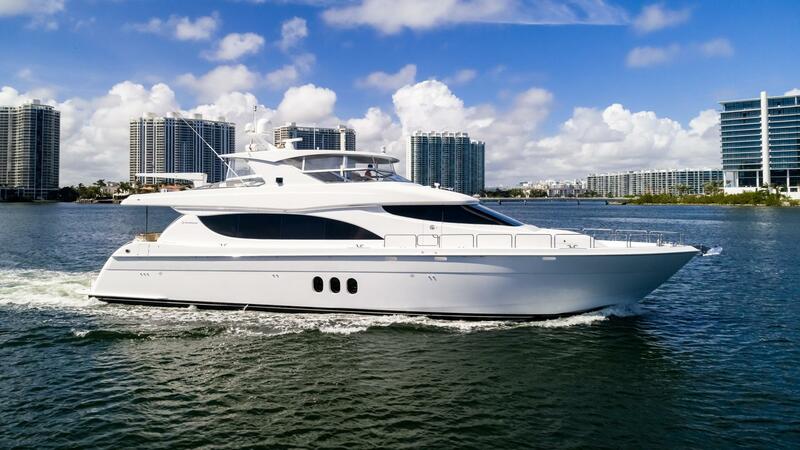 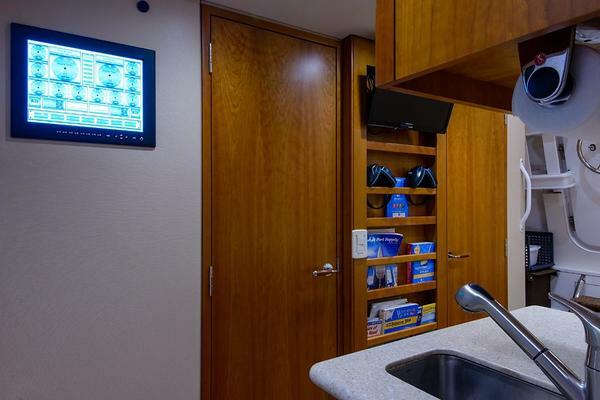 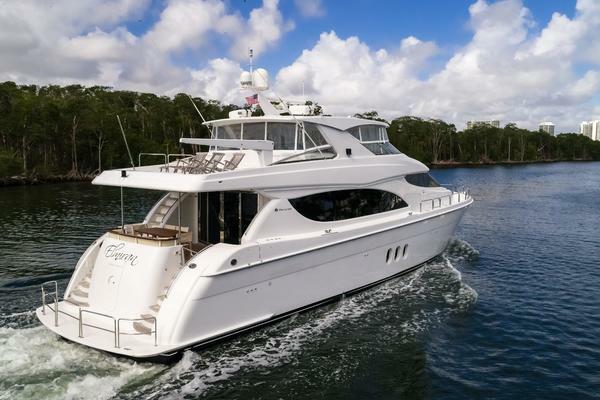 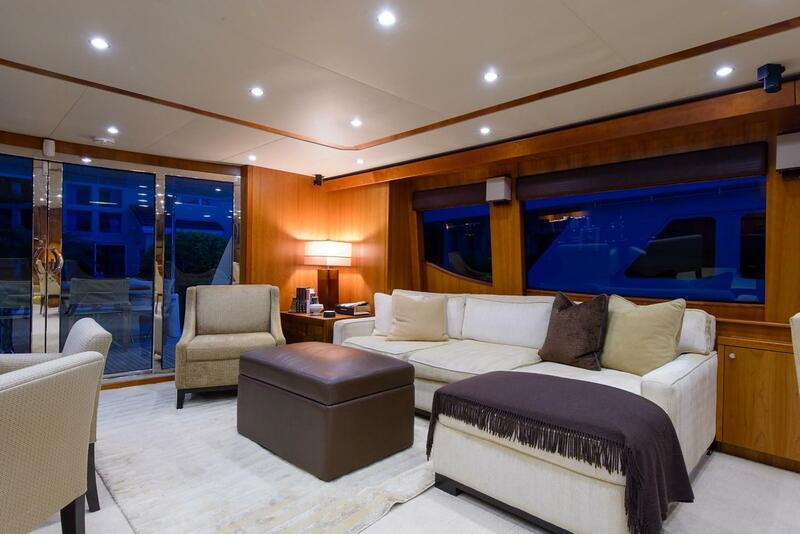 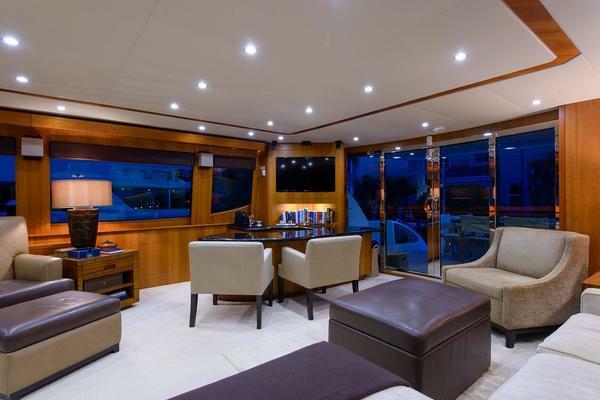 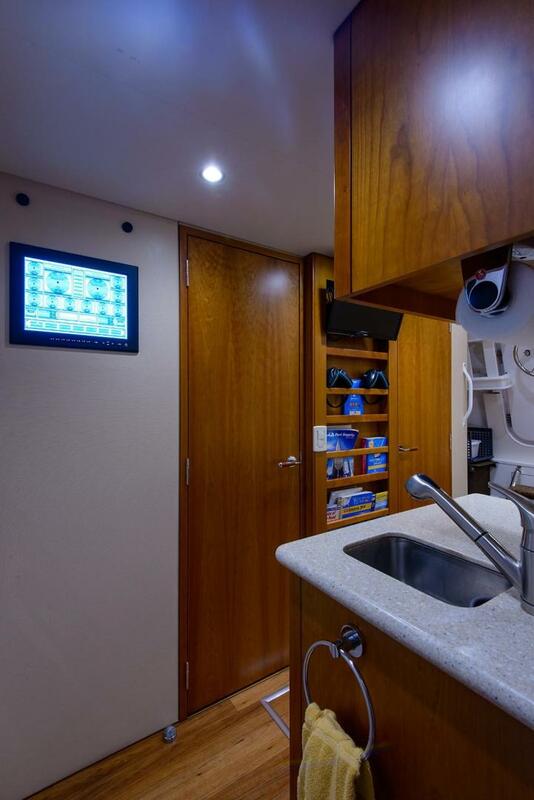 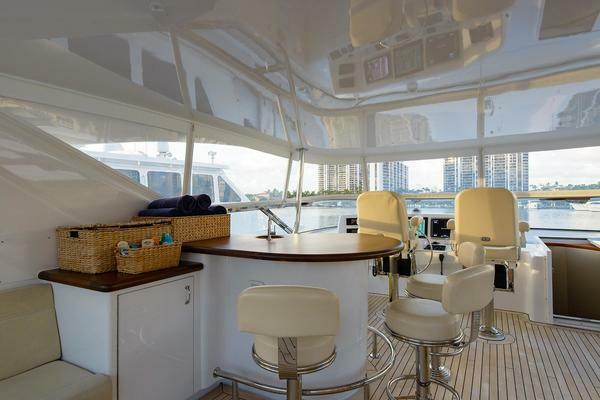 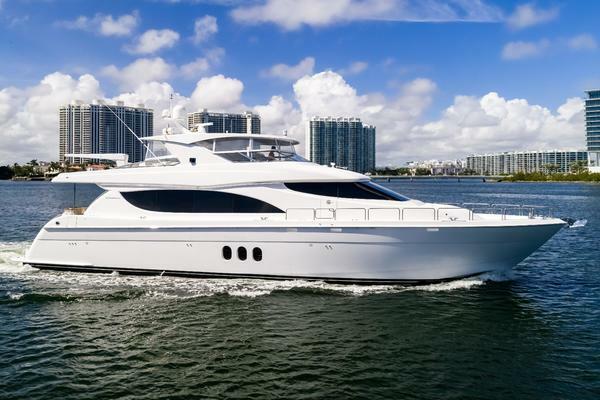 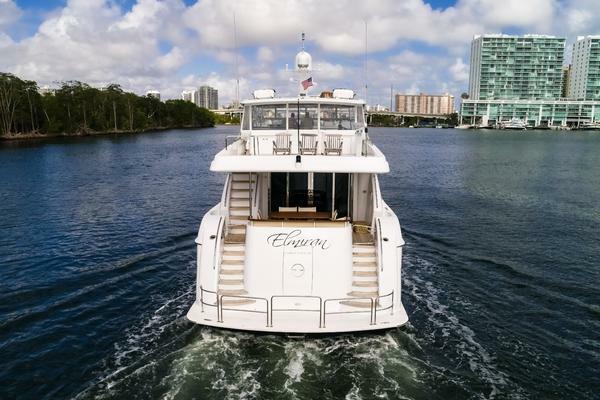 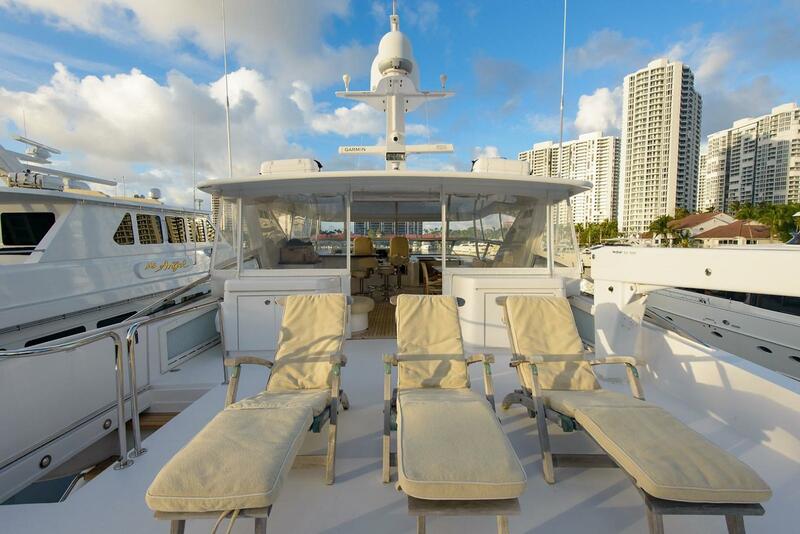 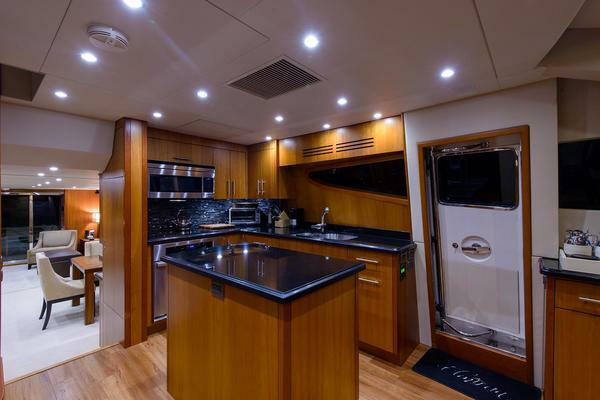 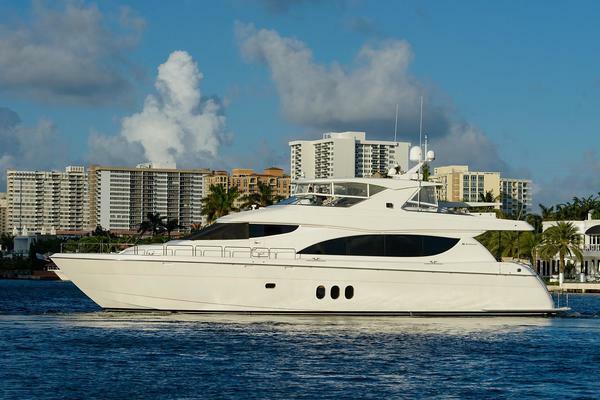 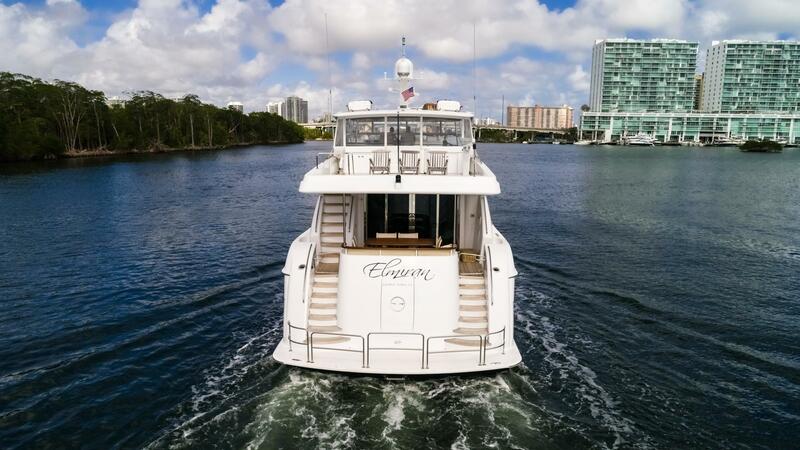 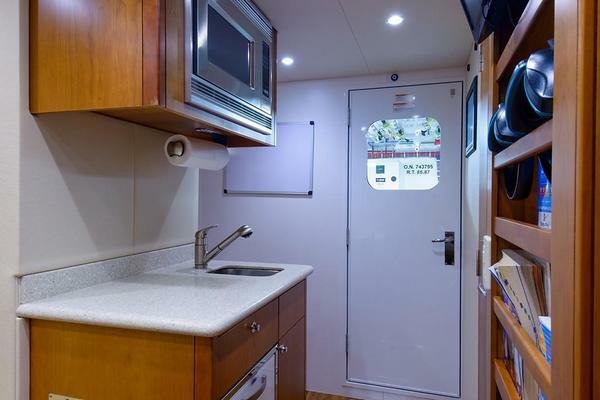 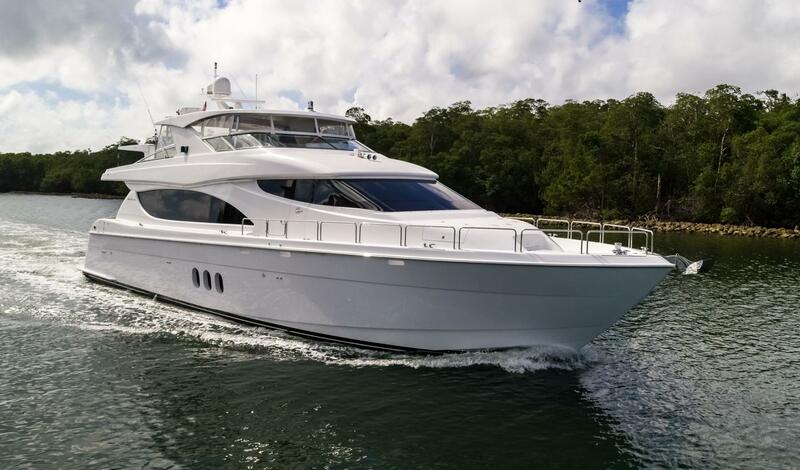 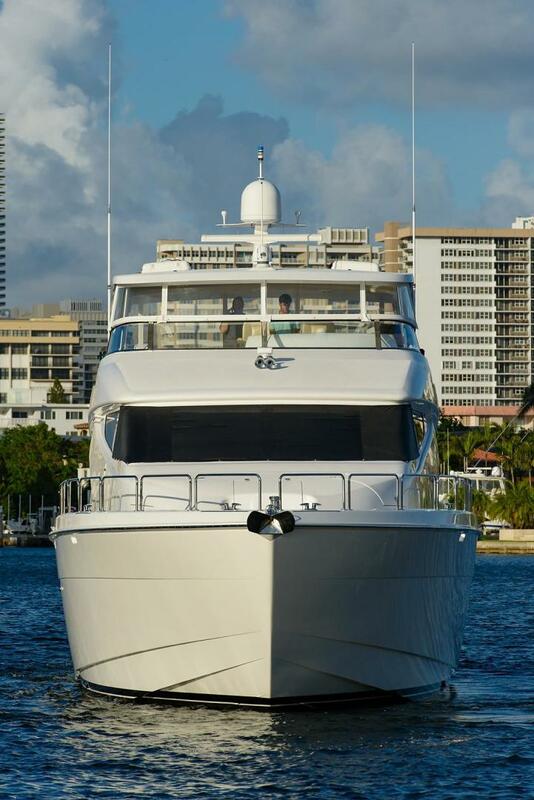 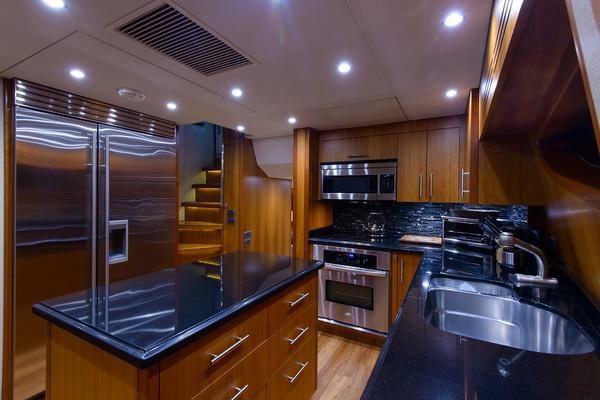 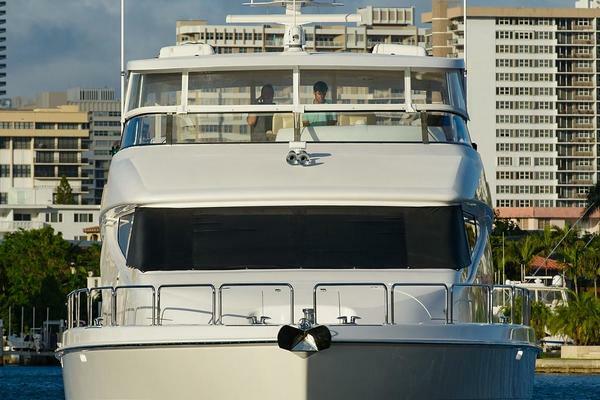 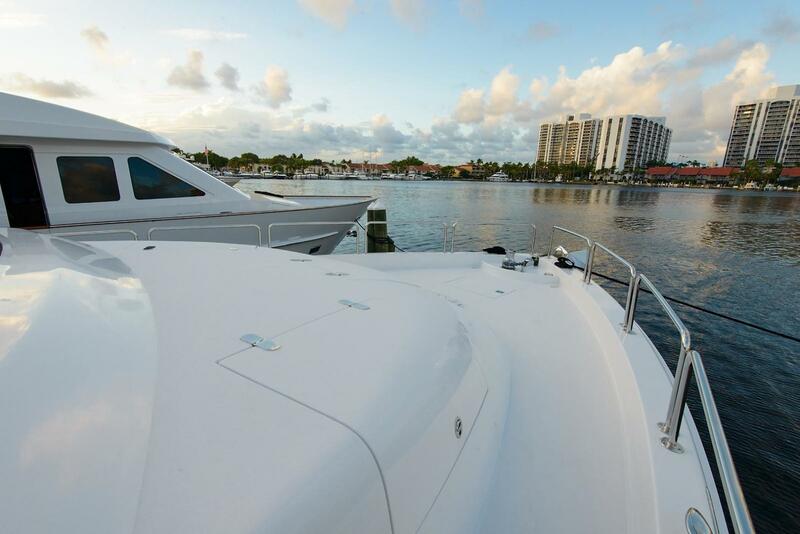 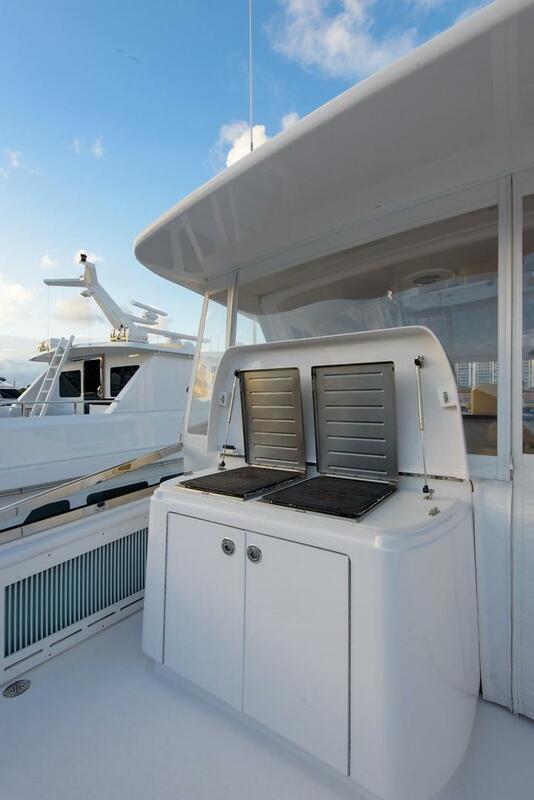 A Remarkable opportunity to purchase a like NEW 2013 Hatteras 80' MY that was Custom Built by a knowledgeable owner that spared no expense, and upgraded practically everything from the original Hatteras 80' build platform. 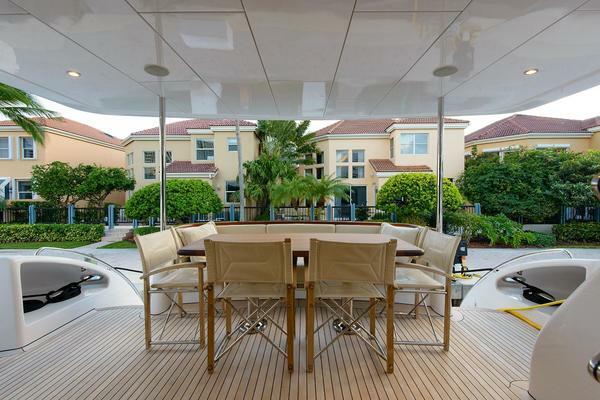 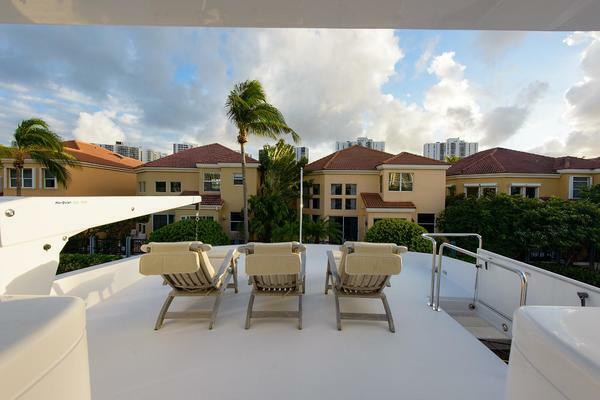 The extensive "up-grades" will be listed within the details of this listing. 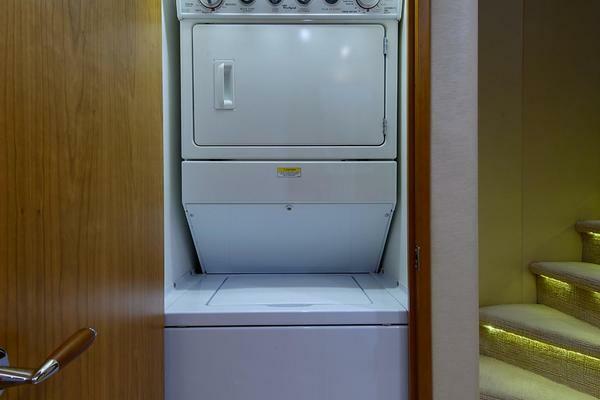 All services are up to date. 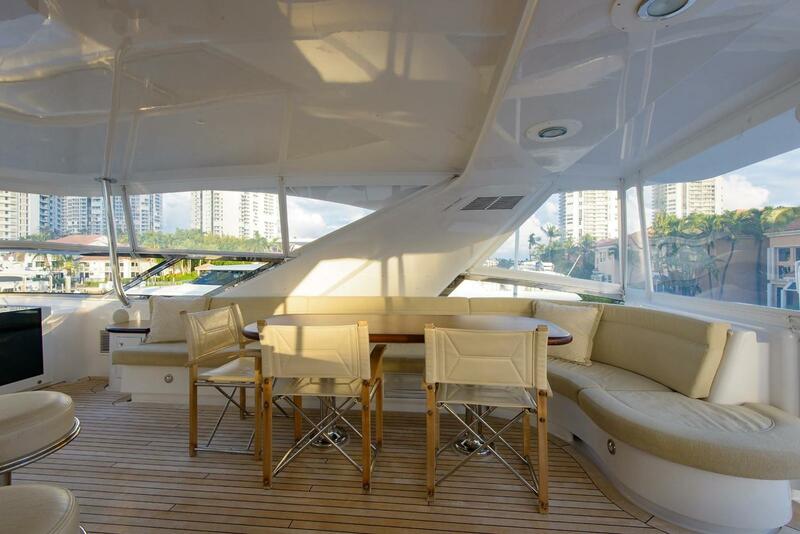 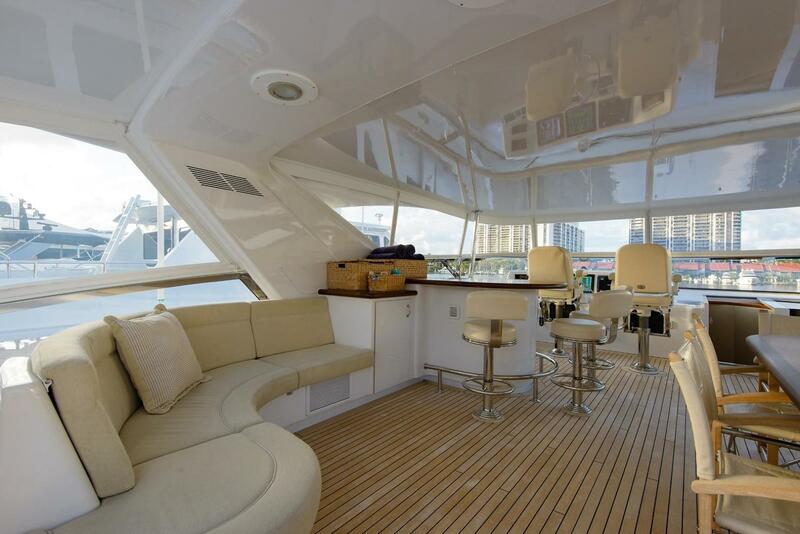 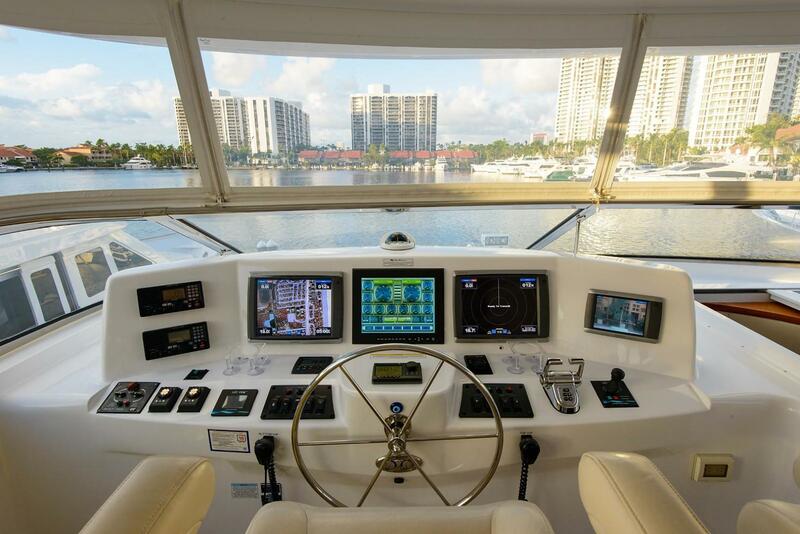 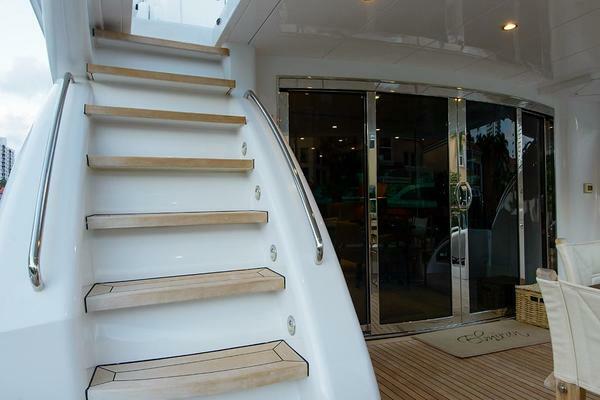 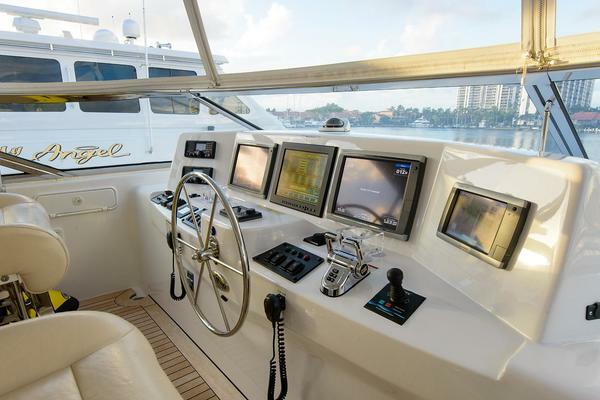 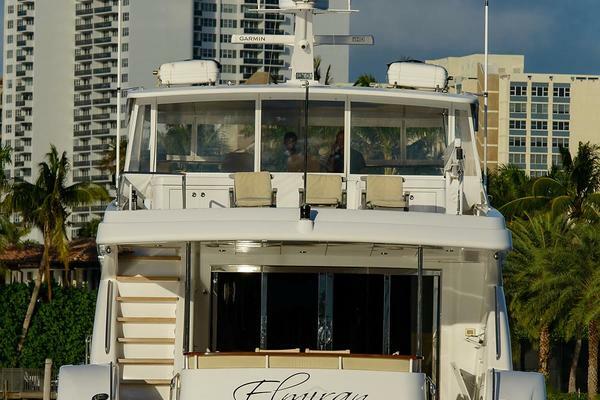 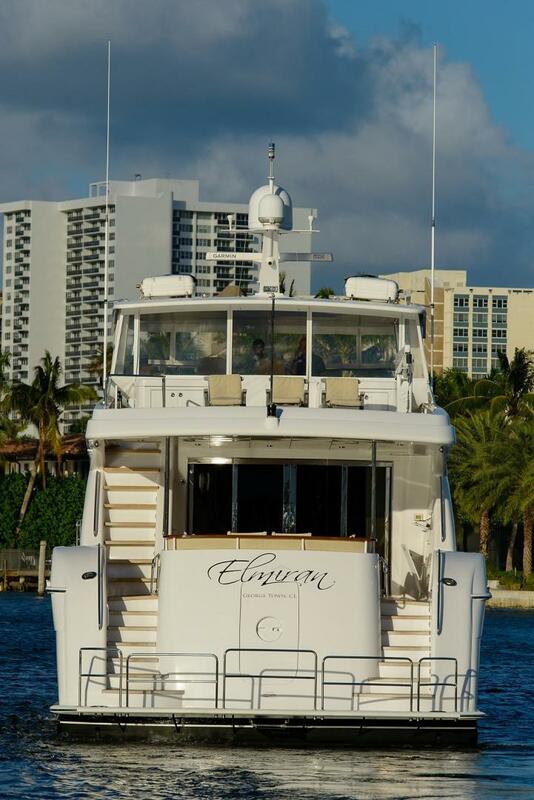 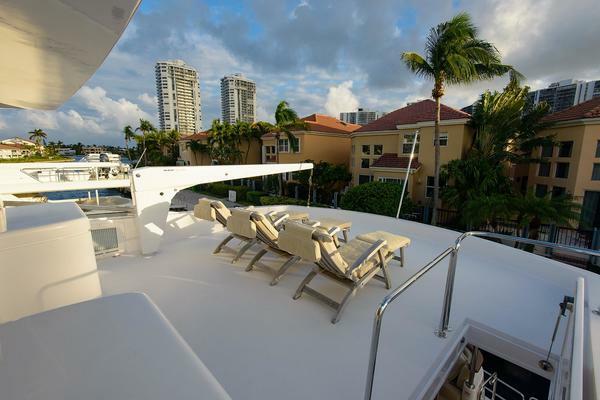 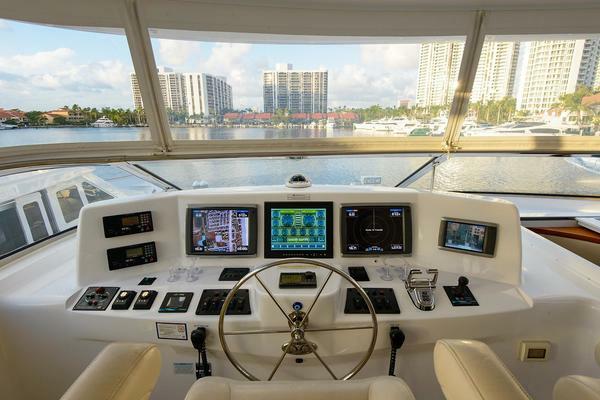 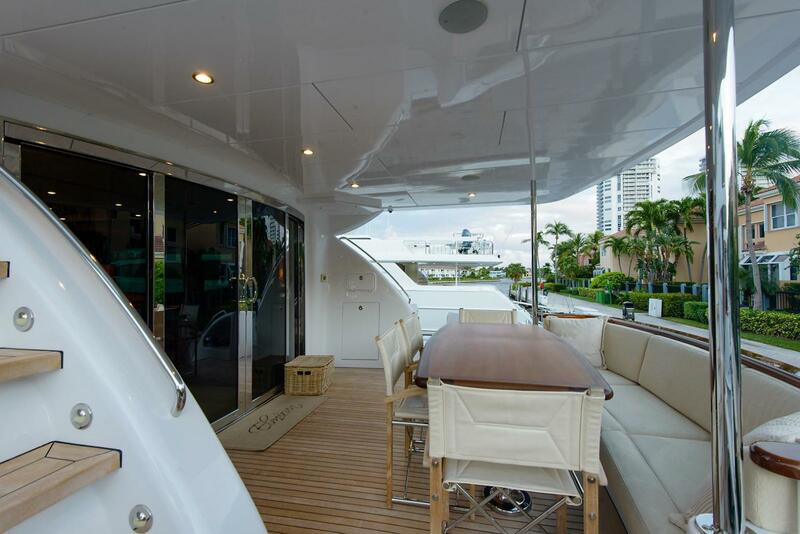 Yacht is Captain Maintained daily, and ready for immediate inspection and delivery. 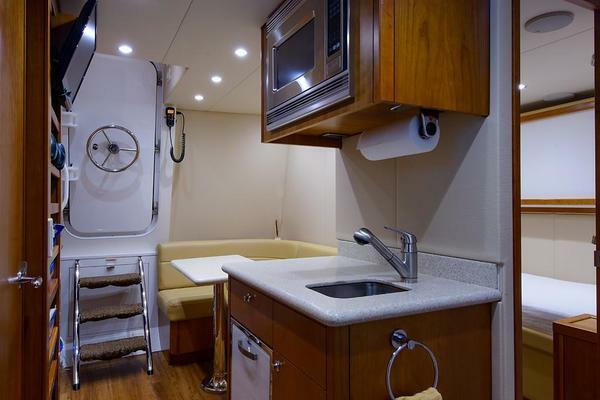 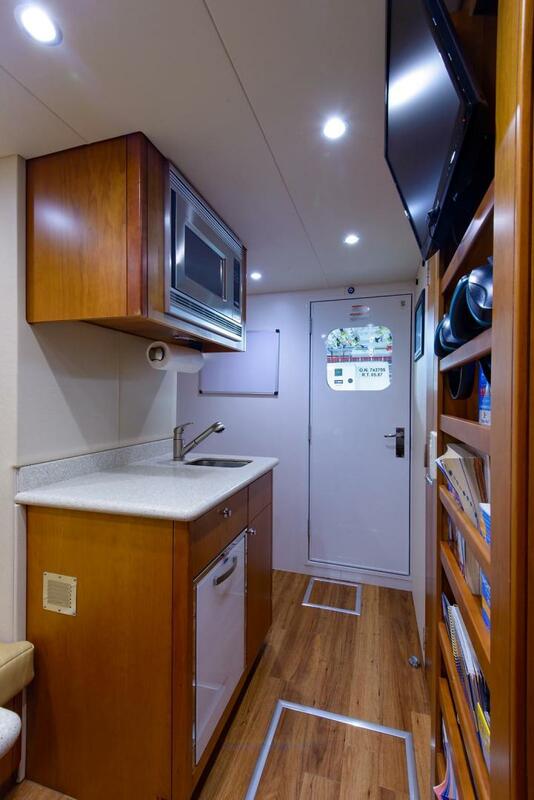 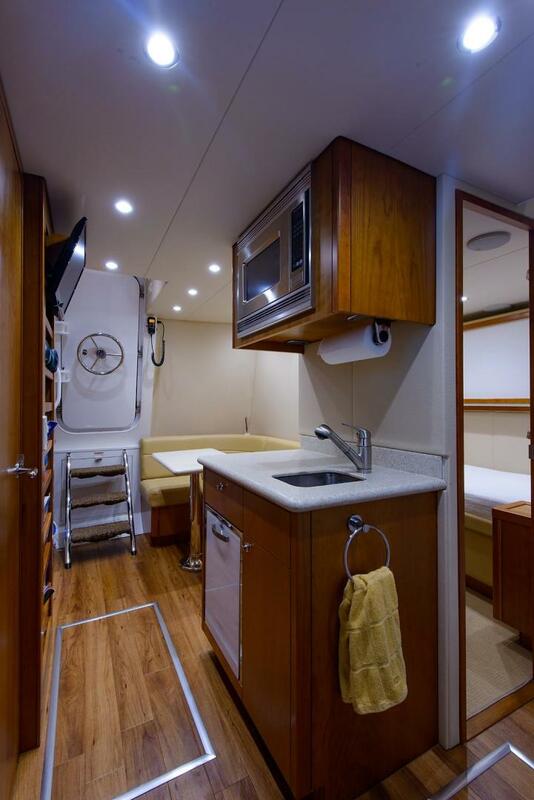 This 2013 80MY Hatteras that was custom built by the seller. 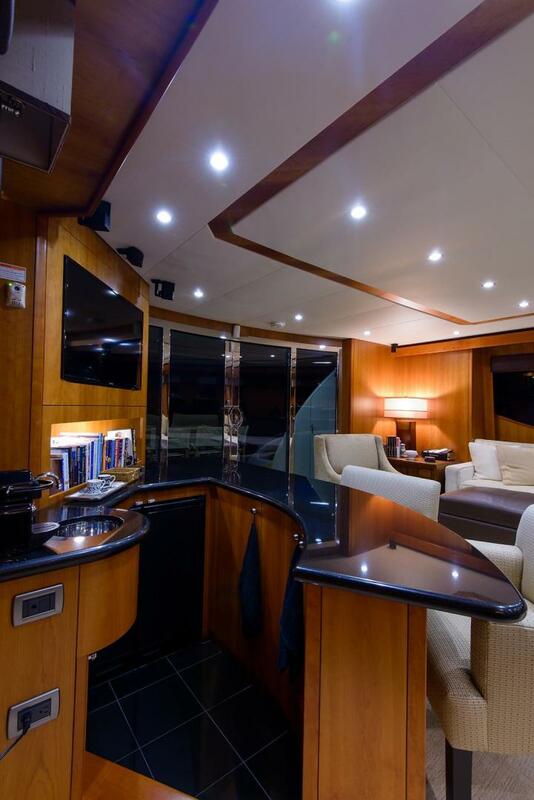 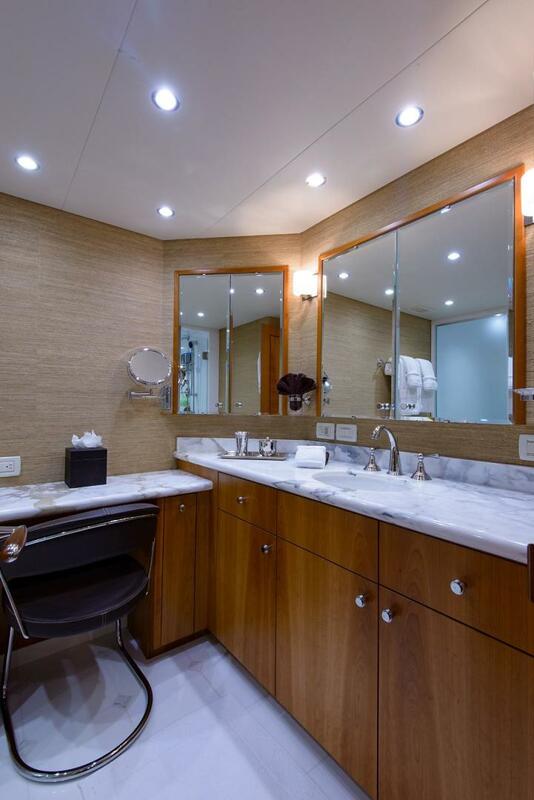 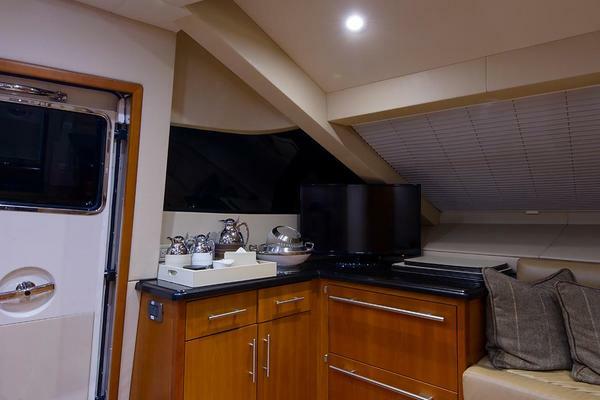 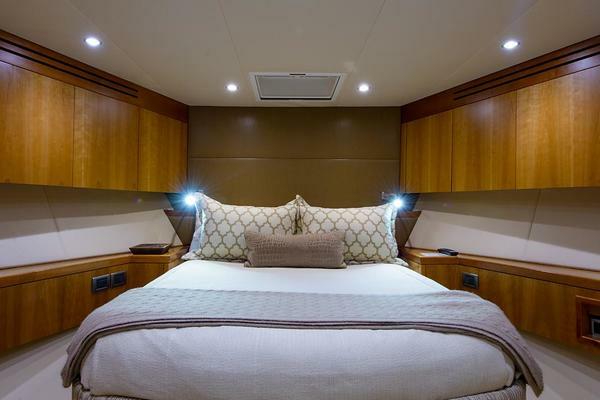 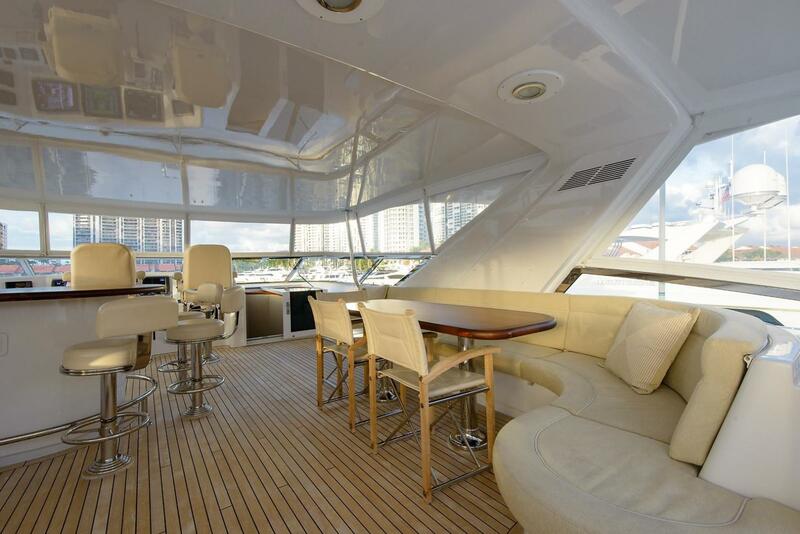 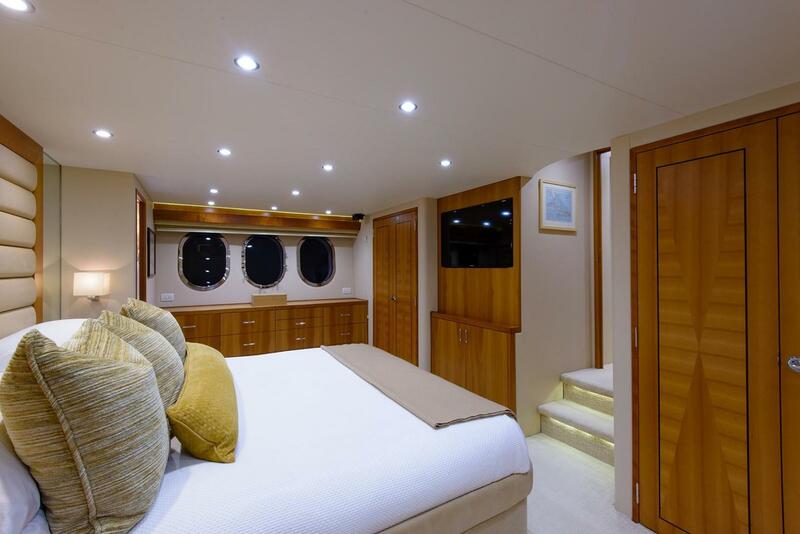 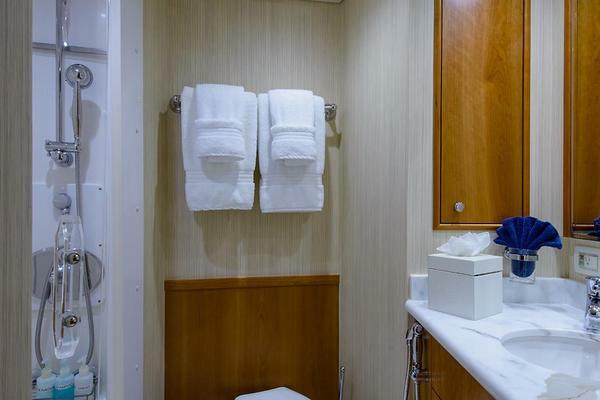 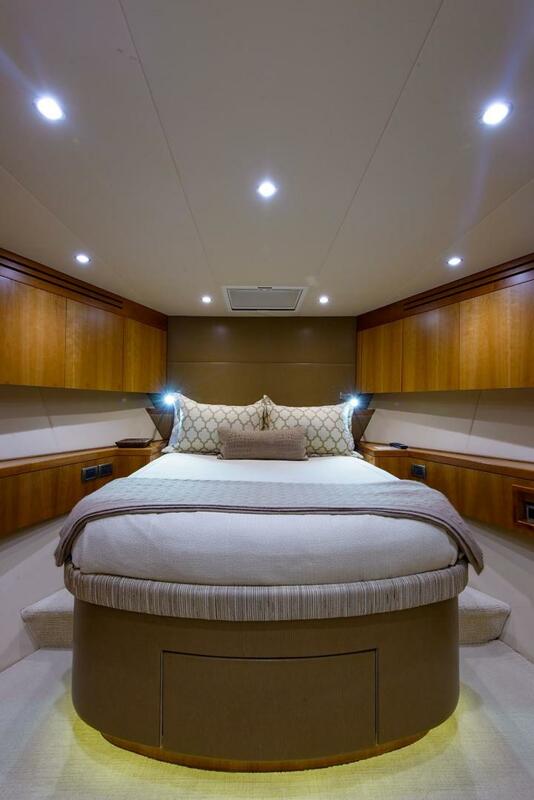 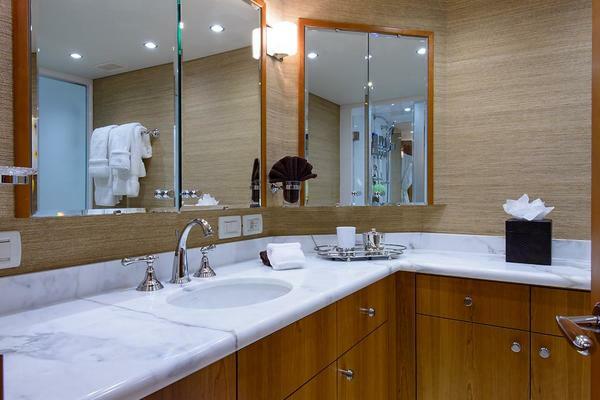 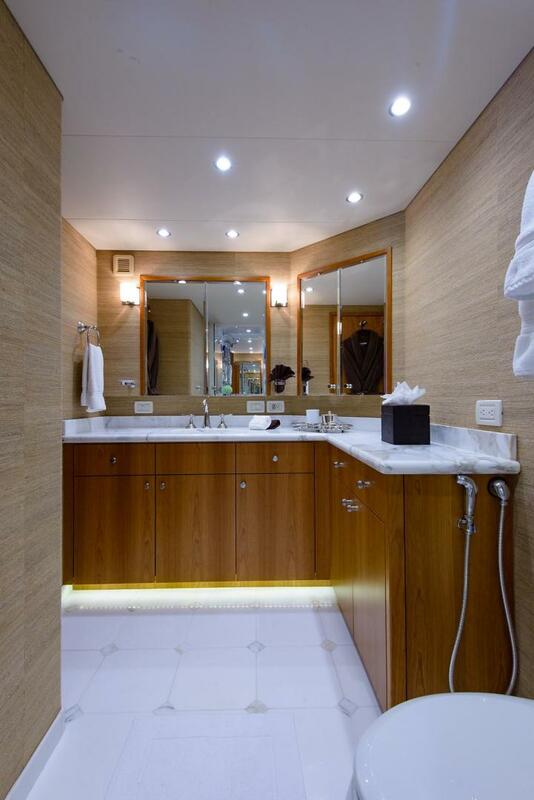 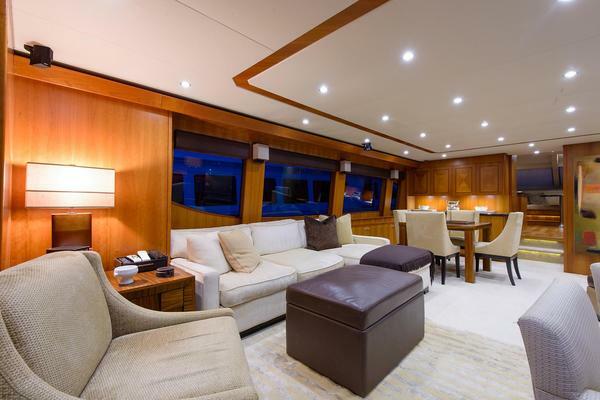 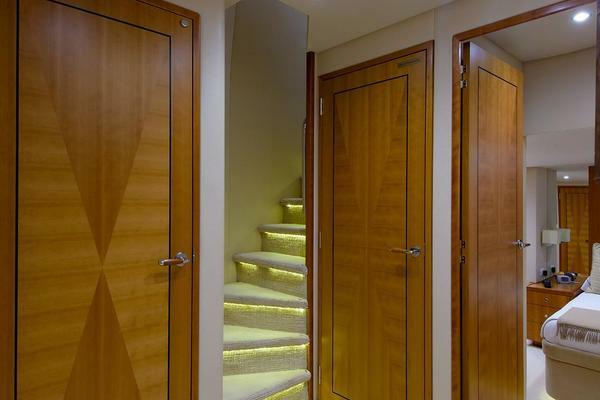 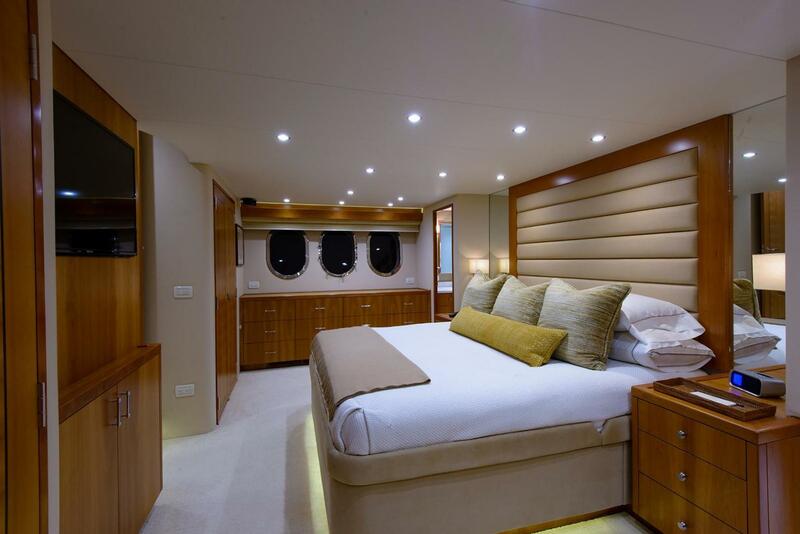 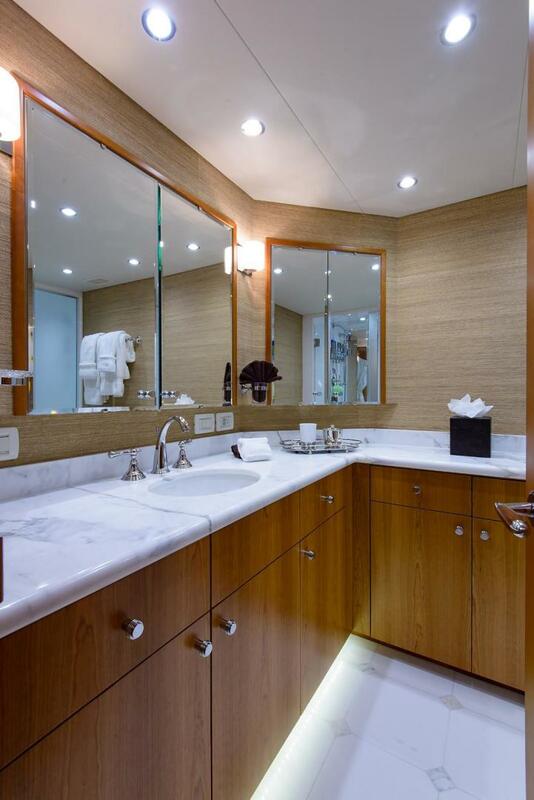 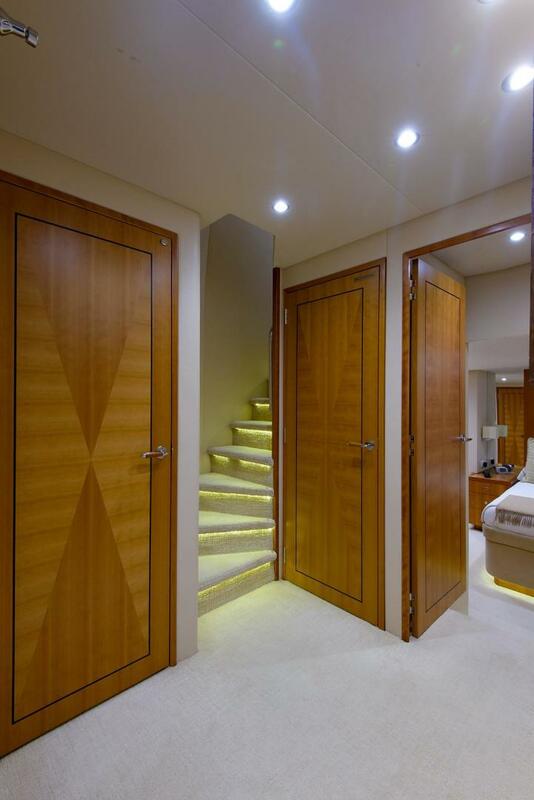 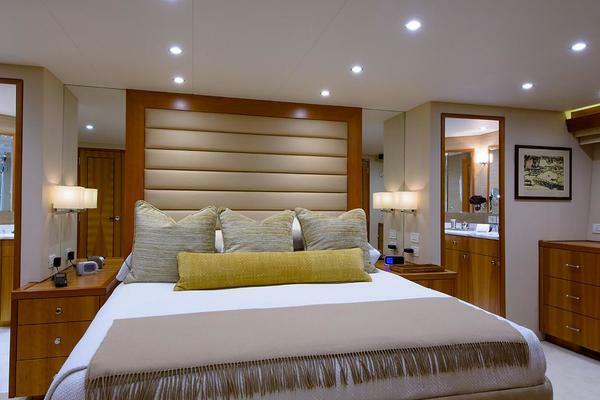 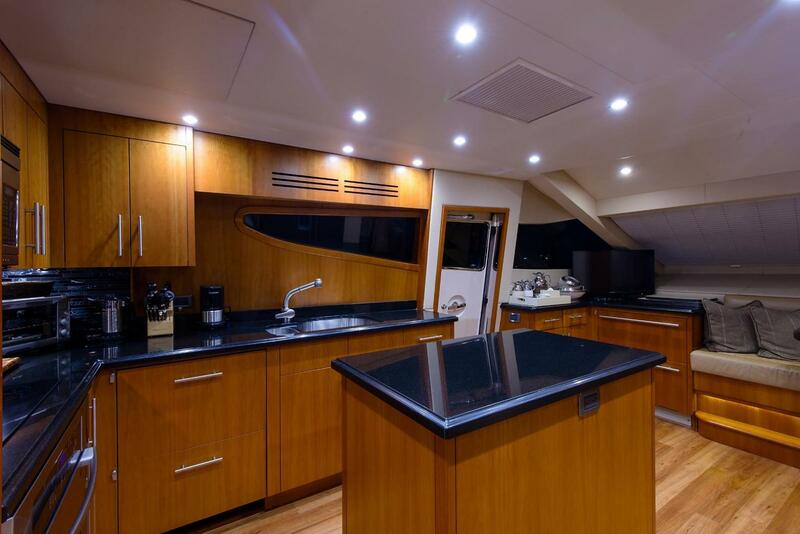 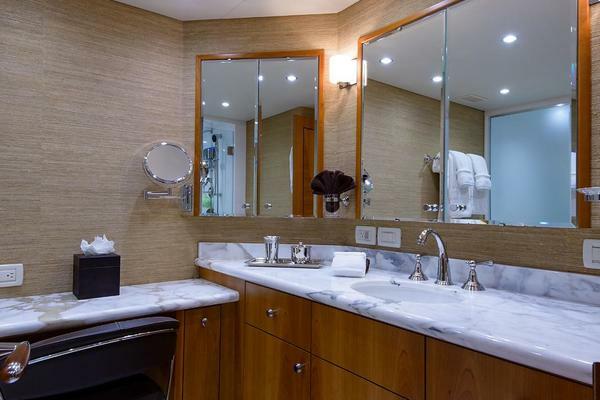 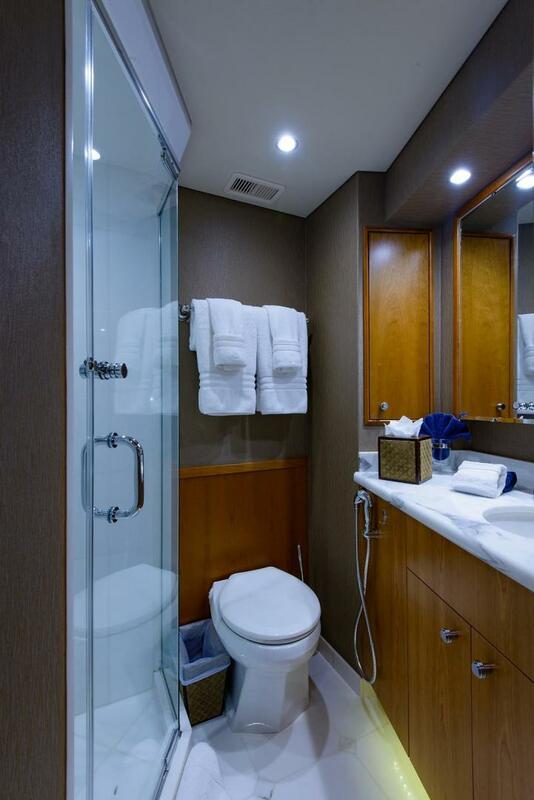 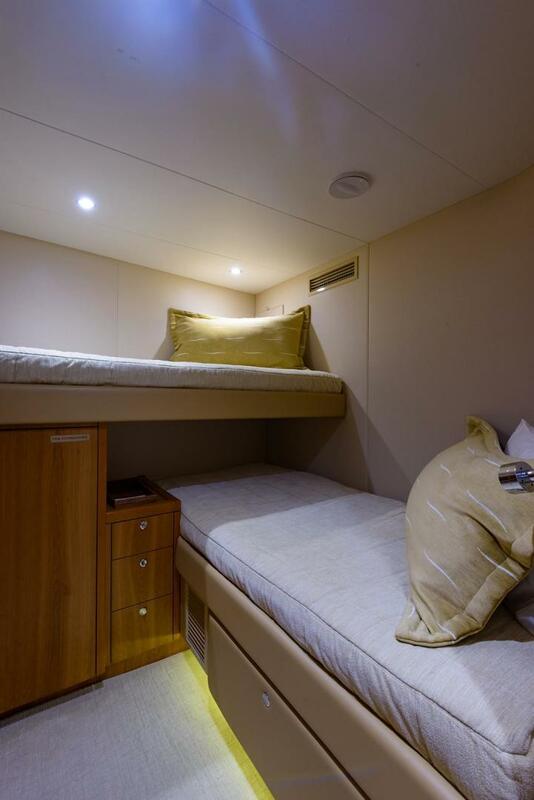 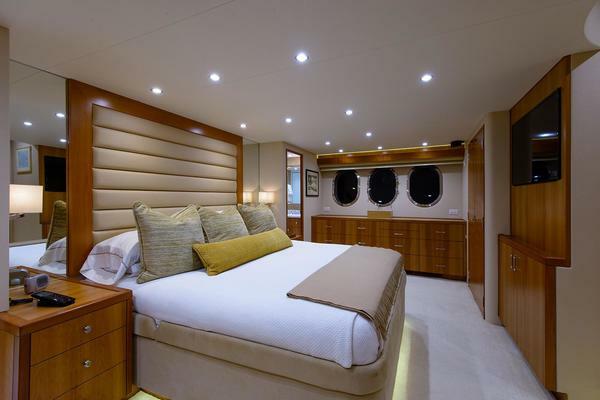 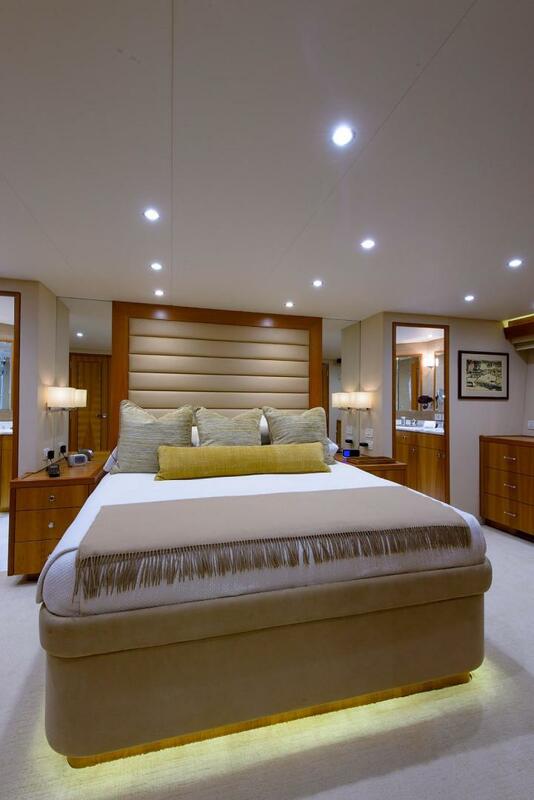 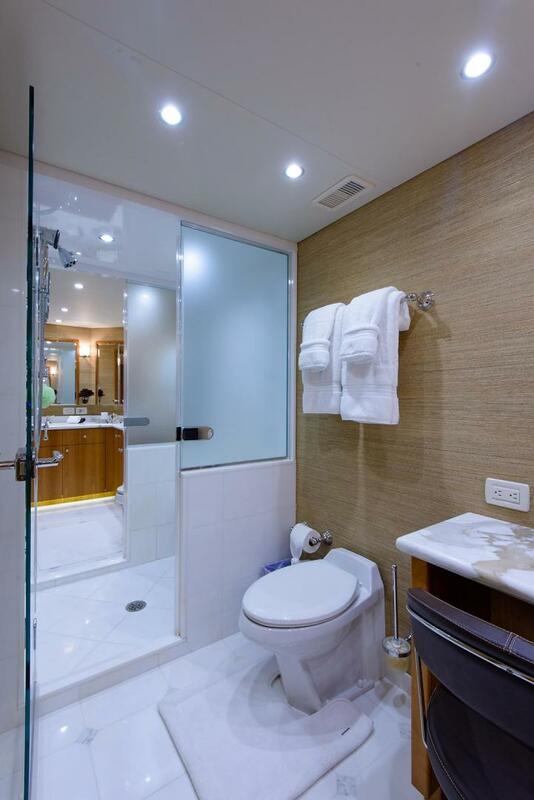 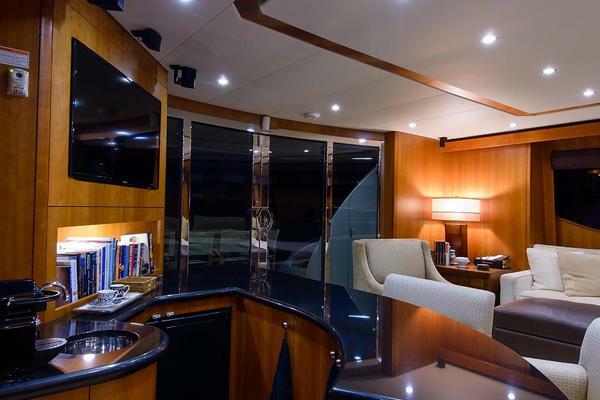 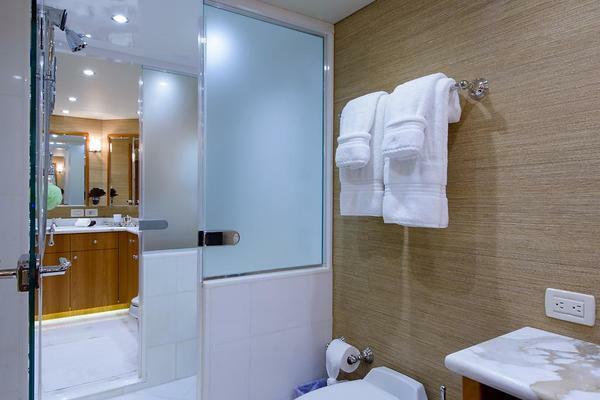 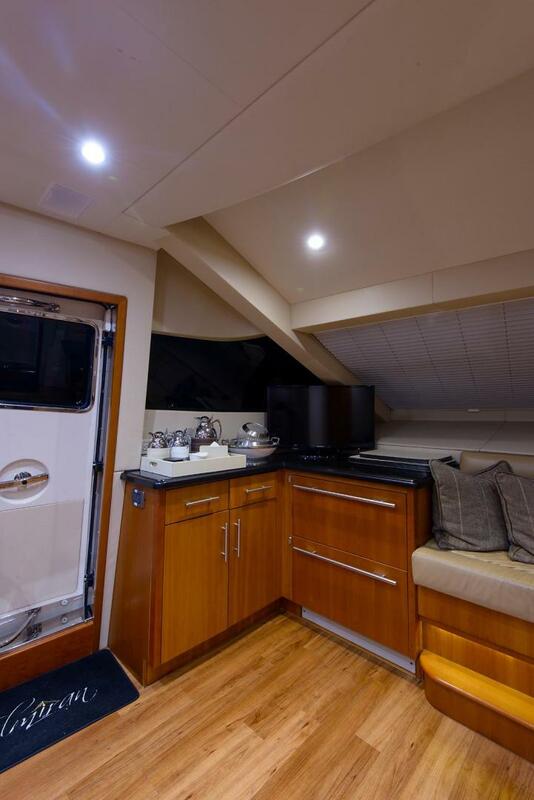 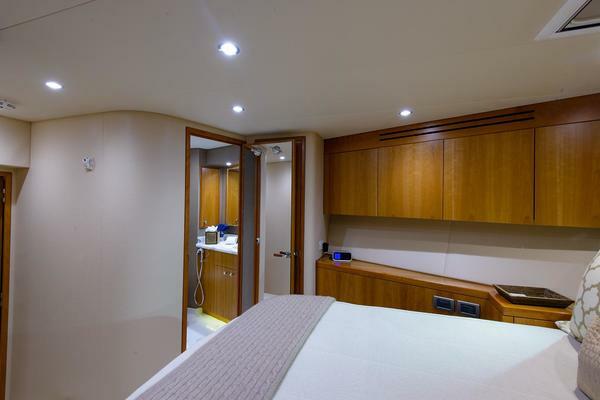 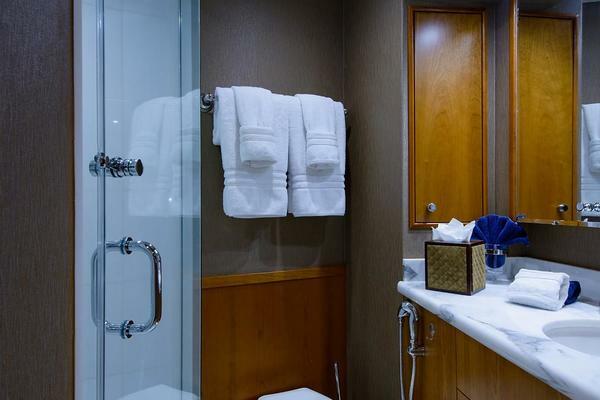 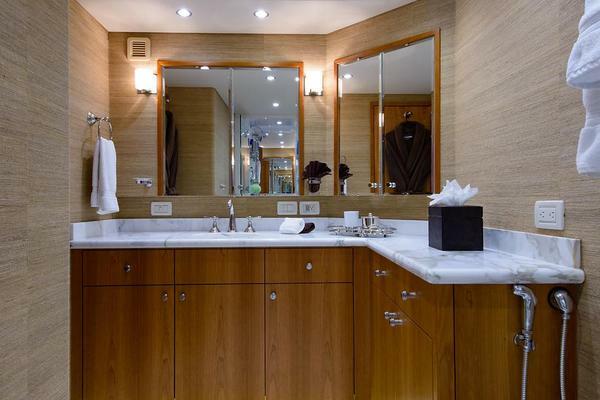 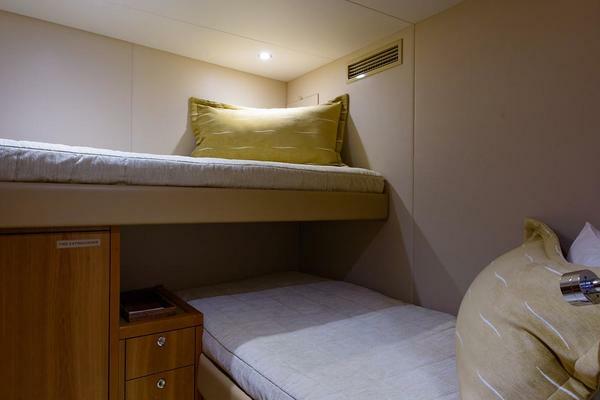 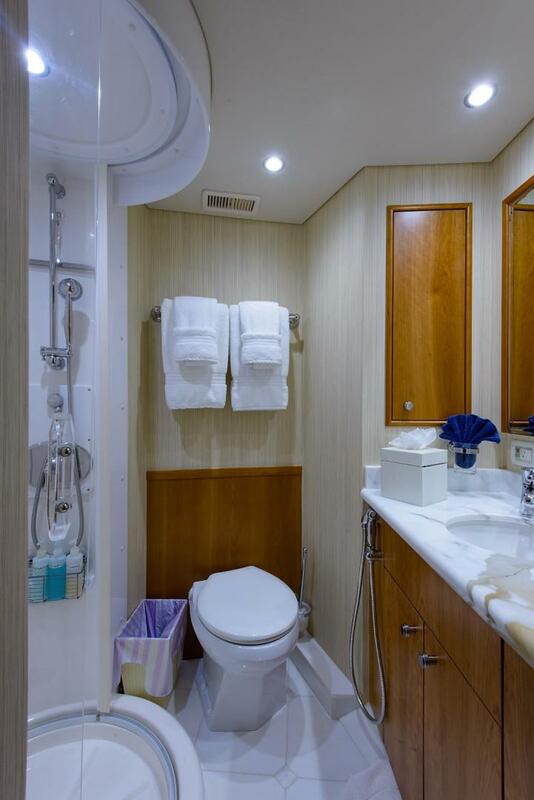 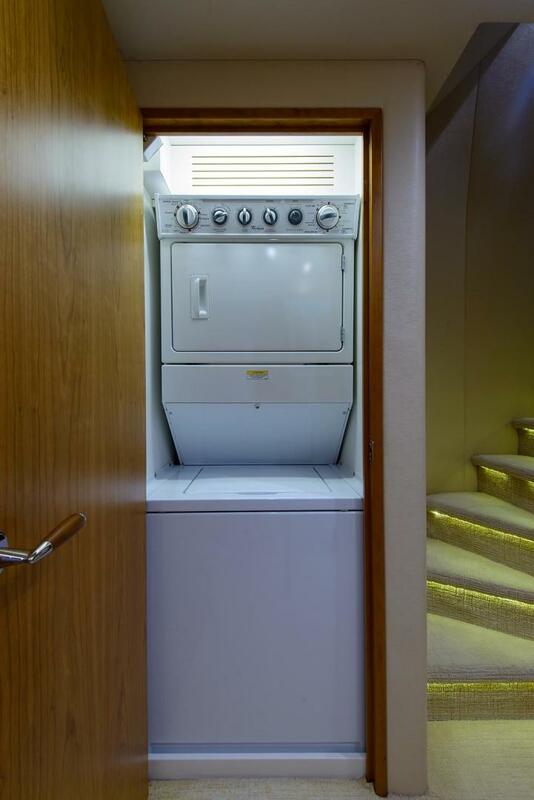 This yacht offers cherry satin wood throughout and four staterooms with each offering en suite heads. 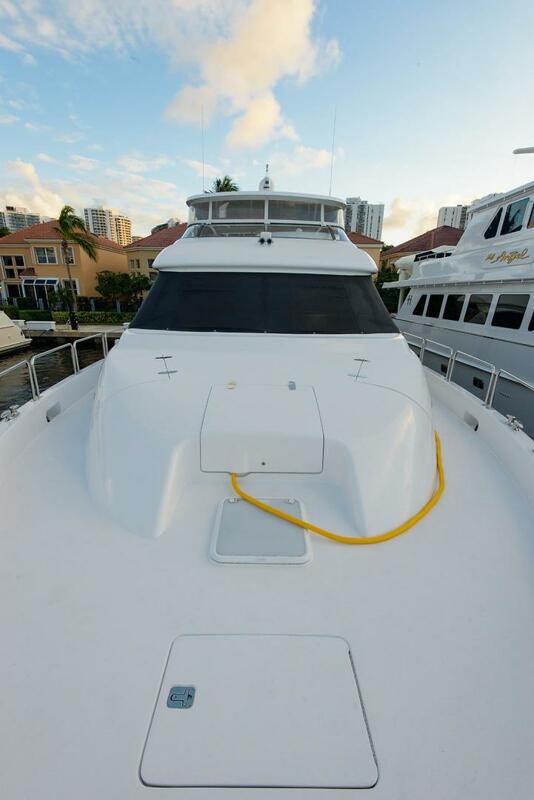 The master is full beam with three large port hole per side and the optional his and her head layout. 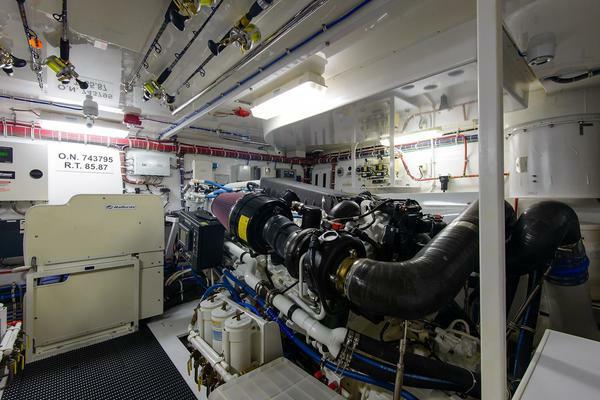 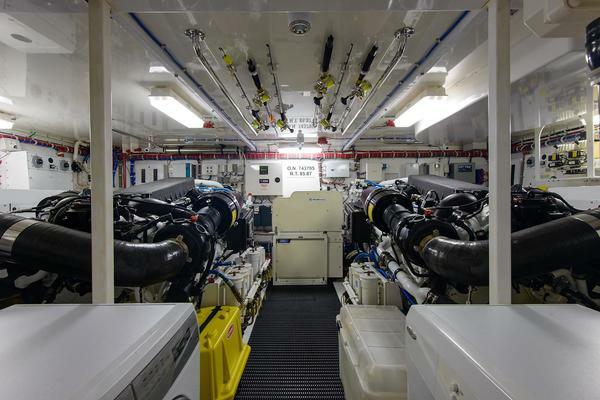 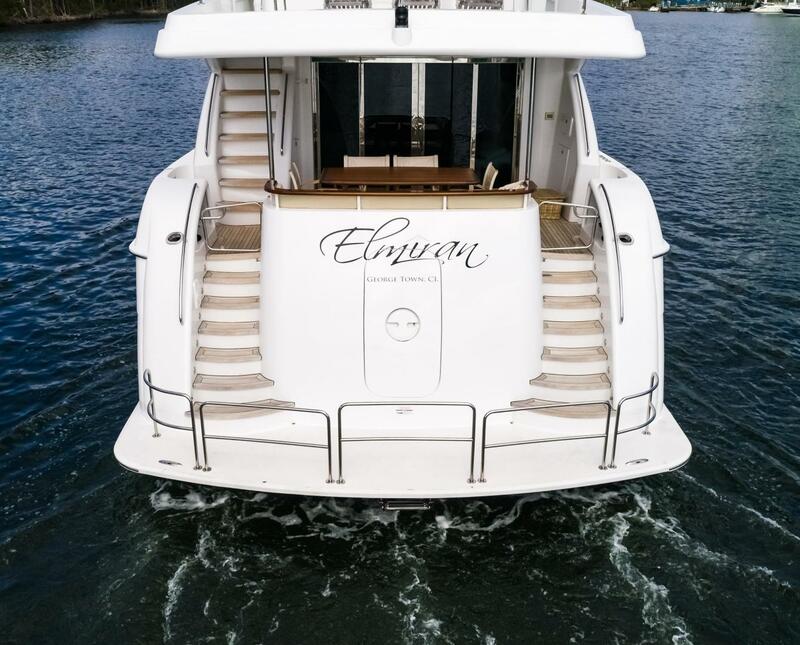 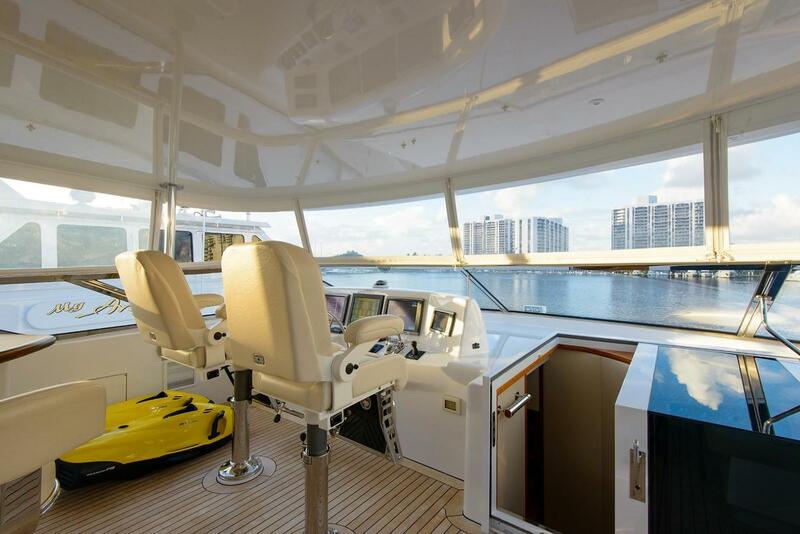 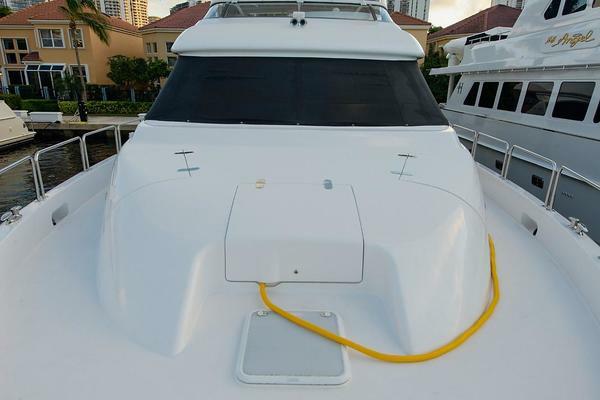 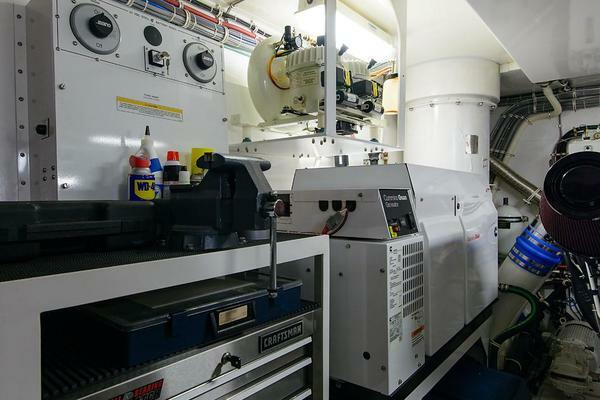 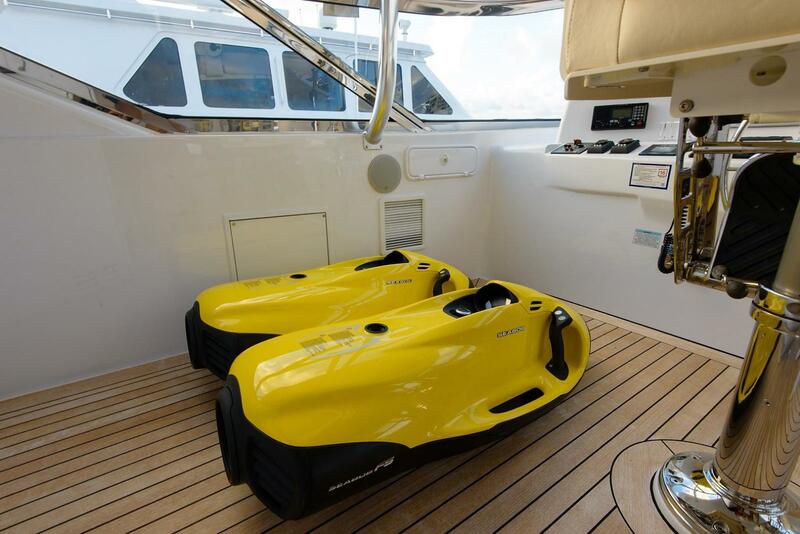 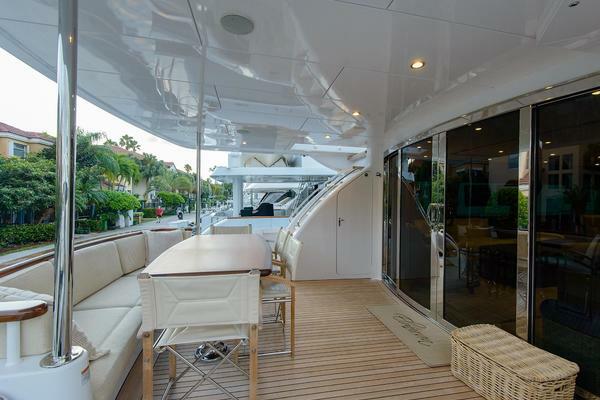 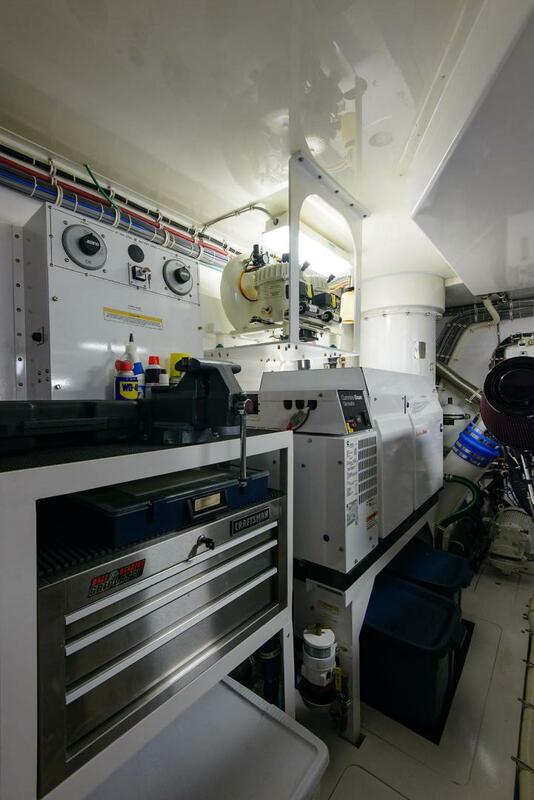 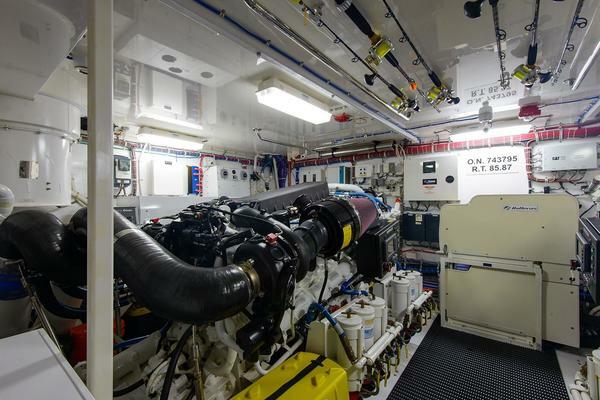 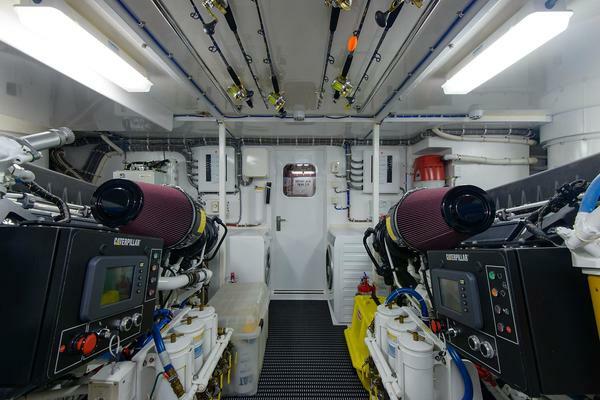 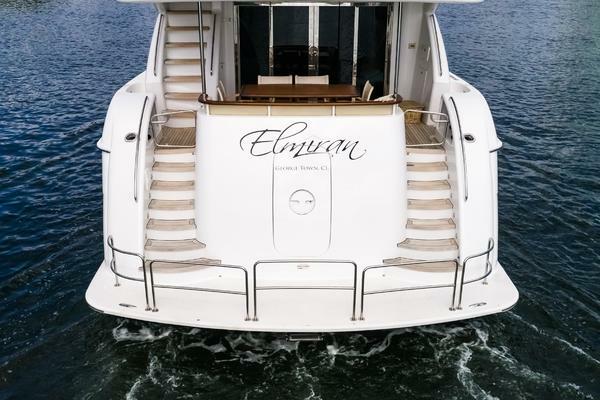 This yacht is powered by Twin Caterpillar 1600hp diesel engines and twin 27.5kw generators. 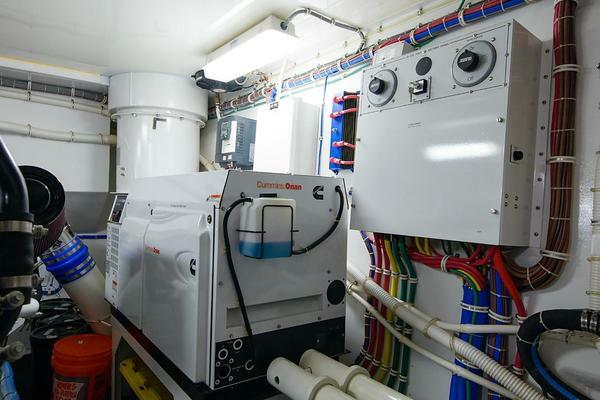 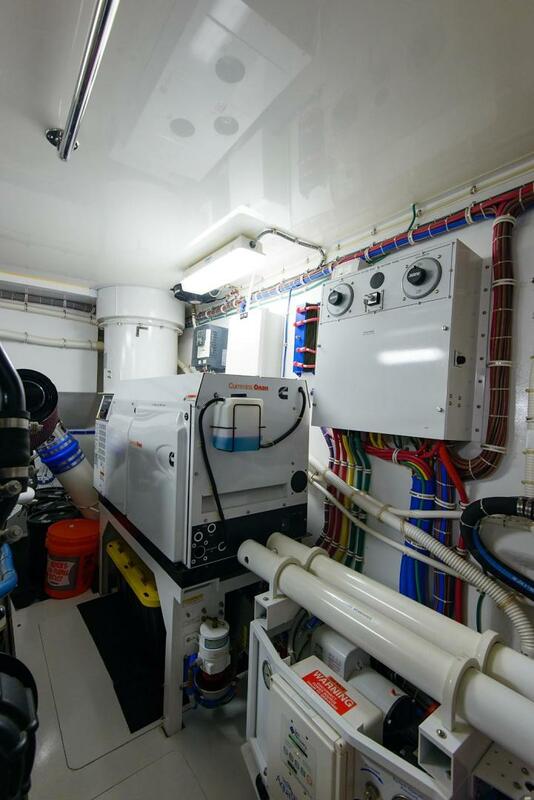 The owner upgraded the hydraulic stabilizers to zero speed which makes anchoring very pleasurable, and a hydraulic bow thruster. 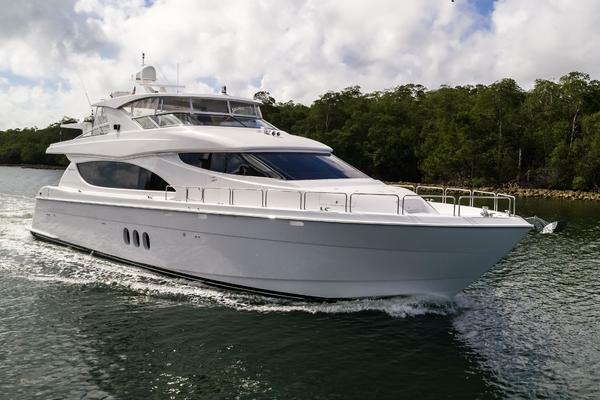 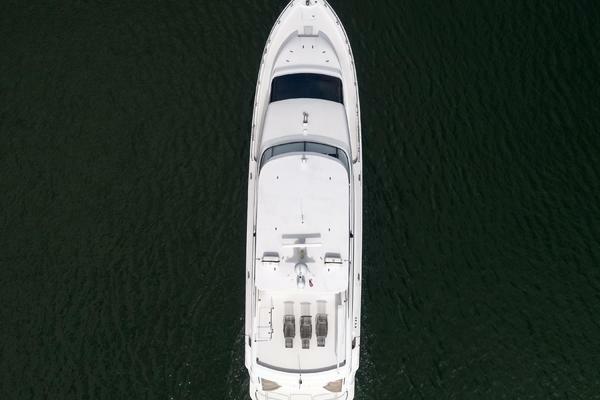 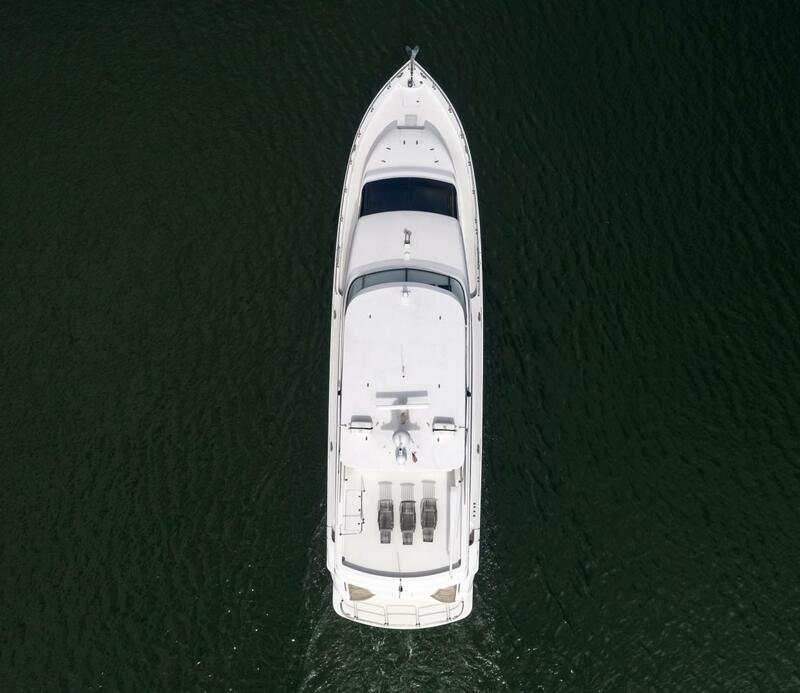 An incredible opportunity presents itself here, for that next discerning, knowledgeable owner who wishes to own an immaculate, fully serviced, turn key yacht. 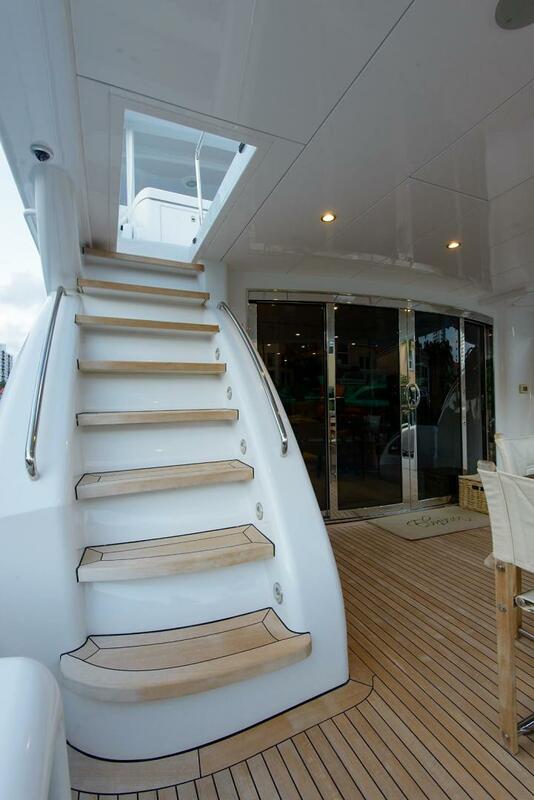 No waiting for a new build, no Yard time adding upgrades, just jump aboard and go.